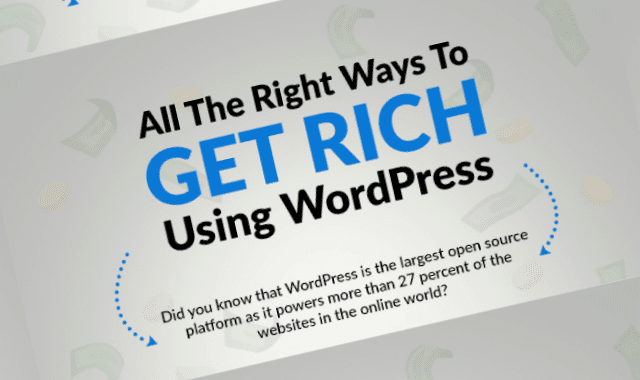 All The Right Ways To Get Rich Using WordPress #Infographic ~ Visualistan '+g+"
Did you know that WordPress is the largest open source platform as it powers more than 27 percent of the websites in the online world? Making money using WordPress is easy. The platform offers endless opportunities to users and if you play your cards right, you can generate a steady stream of income that'll get you rolling in the dough in a relatively short period of time.